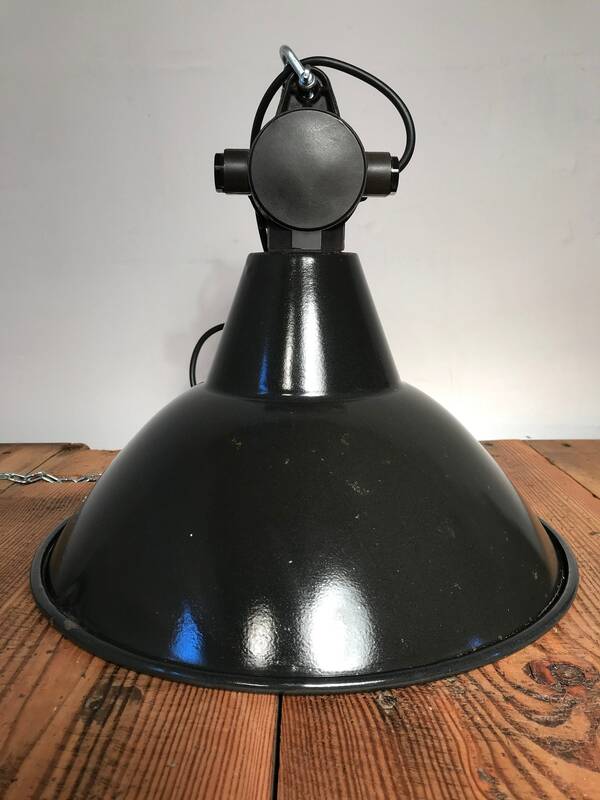 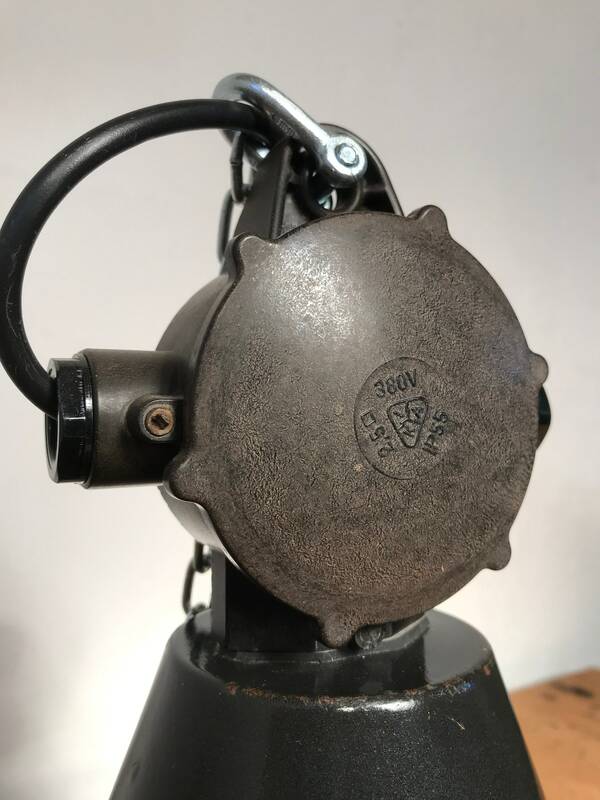 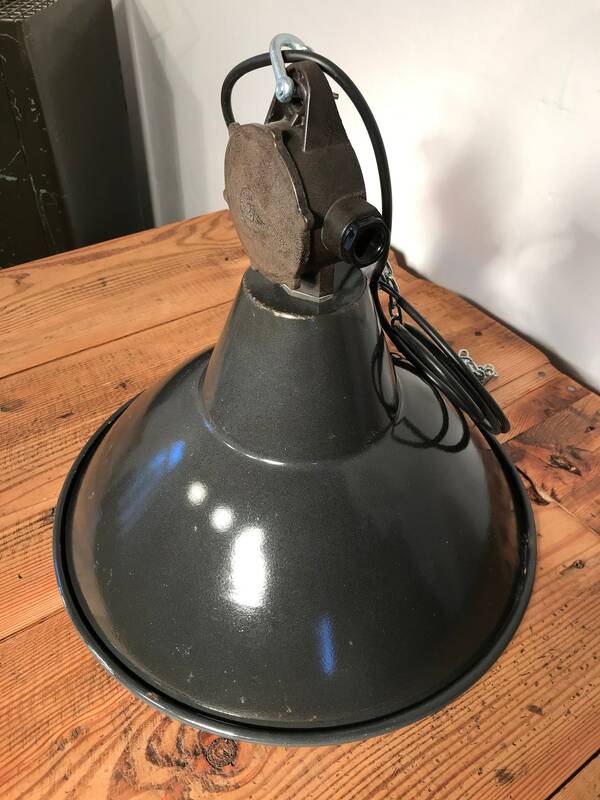 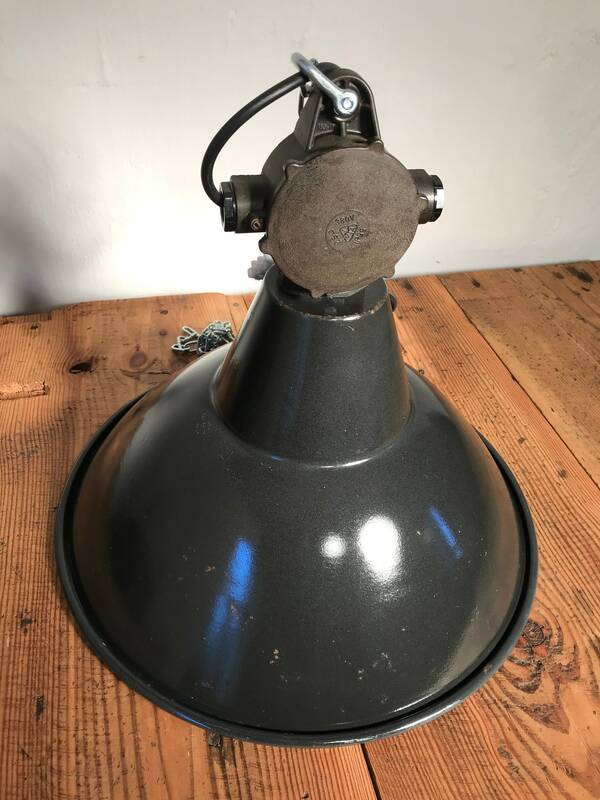 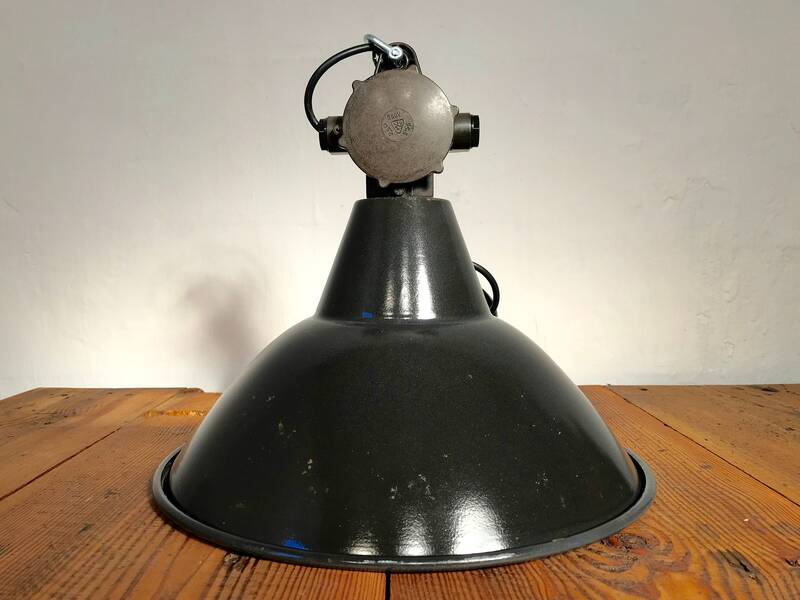 This factory lamp from the former GDR is one of the classics among the factory lamps. 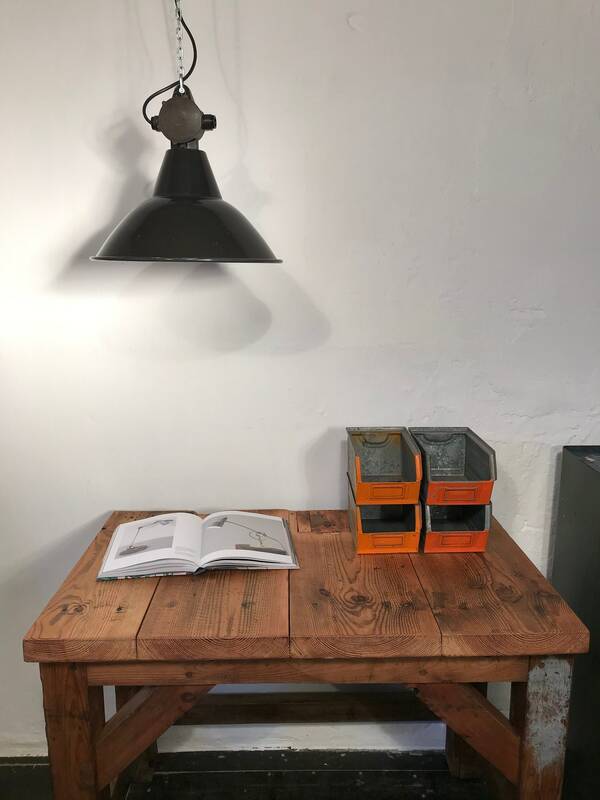 You can combine them with all sorts of styles. 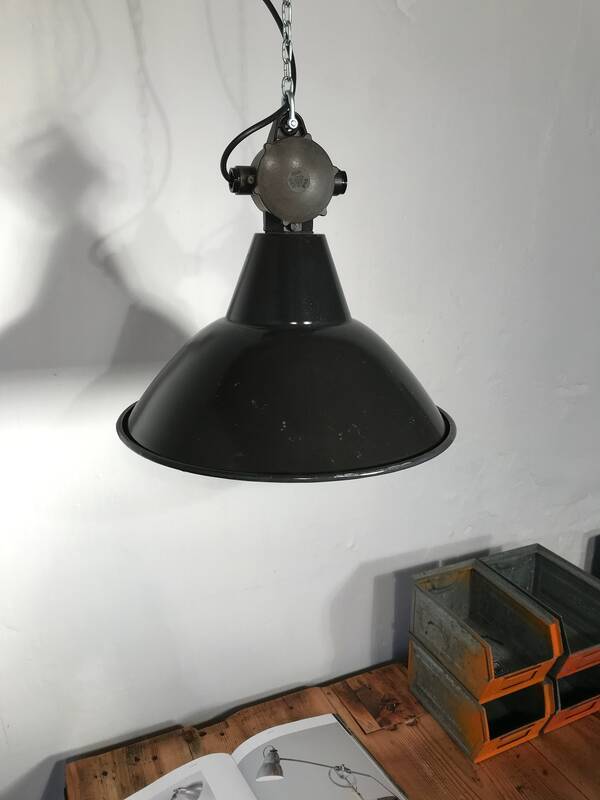 Whether industrial, vintage, minimalist, country house, shabby chic or totally normal, this lamp almost always fits. 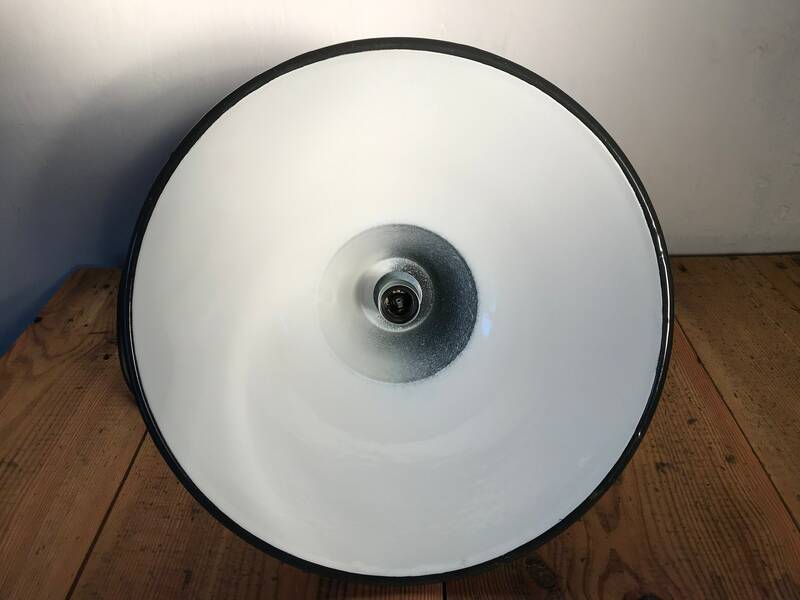 The enamelled surface is very sturdy and durable, so you can hang the lamp on your apple tree for the next garden party.